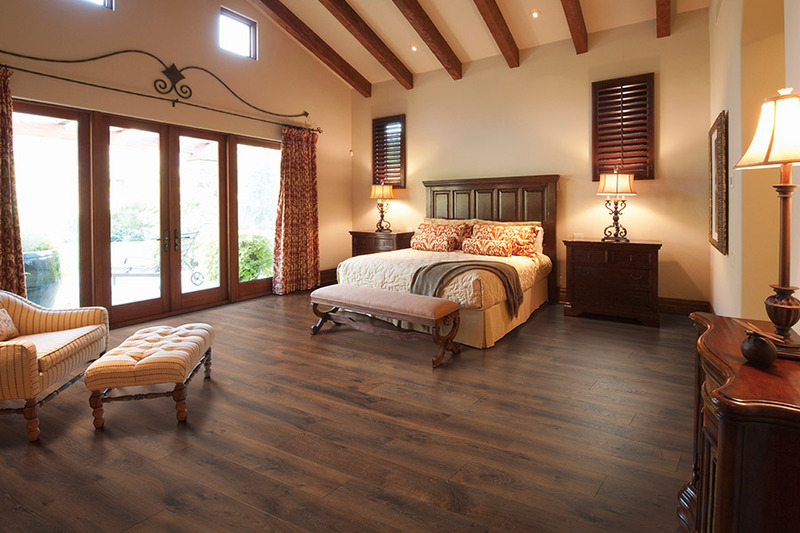 Since its inception, laminate floors have been the wood-look product of choice for many homeowners. Some of them have become loyal to the product’s amazing features and benefits, while others simply appreciate its timeless beauty and elegance. It’s not hard to see why so many choose this flooring, with its lineup of benefits and options. It’s likely that when you stop to consider this flooring, you may become a fan as well. At Contract Carpet One, we are more than happy to help match you with the perfect flooring for your home. That means we’ll take everything into consideration, including both your wants and your needs, and find the flooring that will work perfect for you. We have already done so for countless homeowners in Silver Spring, Laurel, Rockville, Beltsville, and Washington, DC. We invite you to visit us at our showroom in Beltsville, MD, and allow us the opportunity of doing the same for you. 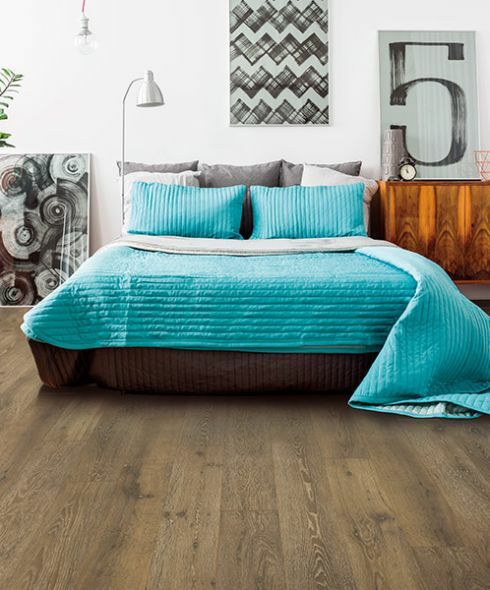 Laminate flooring allows homeowners and designers to craft a beautiful room with premium flooring solutions, while installing easily and without the hefty price tag. Contract Carpet One in Beltsville, Maryland is known as the best carpet installers, and a premiere flooring contractor. Why? We don’t skimp on the product! 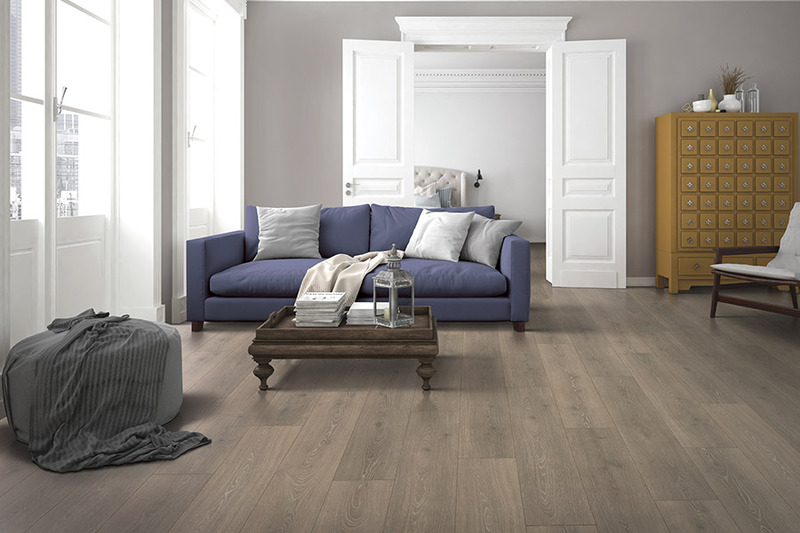 Our laminate flooring solutions maintain the same premium quality that we’ve always maintained, despite the great prices. Laminate was the first wood-look flooring to ever hit the market in the United States, and as such, a certain relationship was developed with homeowners. It provides the amazing real look and feel of solid hardwood flooring, from the grain and texture patterns, right down the stain color and finish qualities. 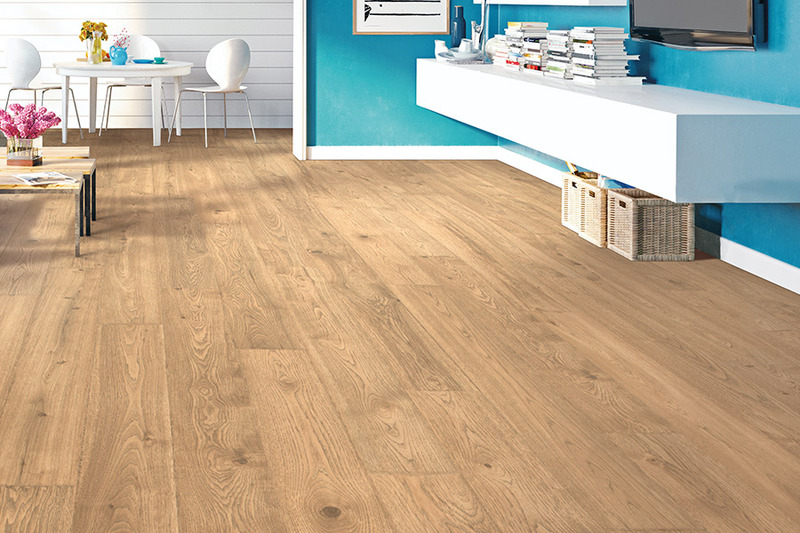 It’s not hard to see why it’s been chosen, over and over, as the stand-in for real wood floors. Contract Carpet One in Beltsville has a fully stocked showroom with laminate flooring chosen from only the best vendors with the highest quality standards on the market. 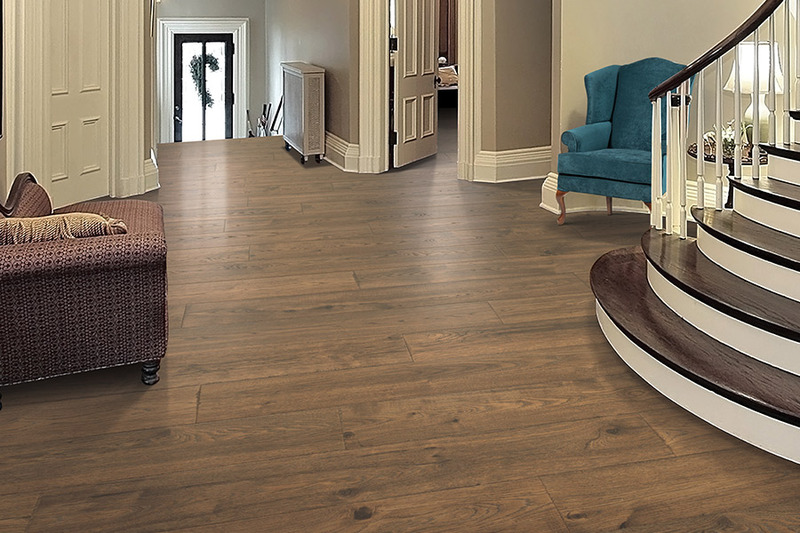 Our skillful team of highly trained purchasers have the training and professional expertise to know how to pick only the best laminate flooring systems for all your Maryland flooring needs! High quality products mean that customers can rest assured that they are making the best possible laminate flooring purchase possible. Going in between laminate vs vinyl flooring? We offer you plenty of options and both with the expertise to help you decide which is best for you! Another benefit of high quality laminate flooring is that they last significantly longer under the same usage patterns than their lower quality counterparts. 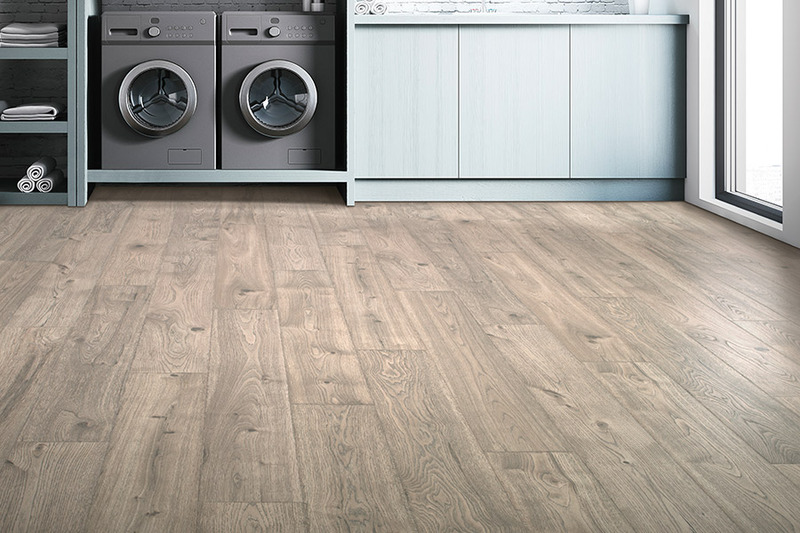 This means that doing the job right the first time is only really possible with the high quality laminate flooring systems. Another thing that is not necessarily part of high quality is a high price tag. High quality laminate flooring systems do not necessarily have to be expensive, just well chosen. This is why Contract Carpet One’s purchasers are so highly trained and skilled at what they do. Contract Carpet One’s reputation is so strong that not only do contractors come to us, but so do countless job applicants. We staff highly trained individuals to provide you with the best possible customer experience. You’ll love your new laminate flooring or we will replace it for free! One of the best things about laminate is that an underlayment can be added that will give these floors a kind of resilient character. They will be softer to walk and stand on, and can even help to reduce noise levels inside your home. Neither clicking heels nor pet nails will sound nearly as loud with these floors in place. At the same time, preparing a meal or doing the dishes will be much more comfortable tasks, with a softer surface on which to stand. 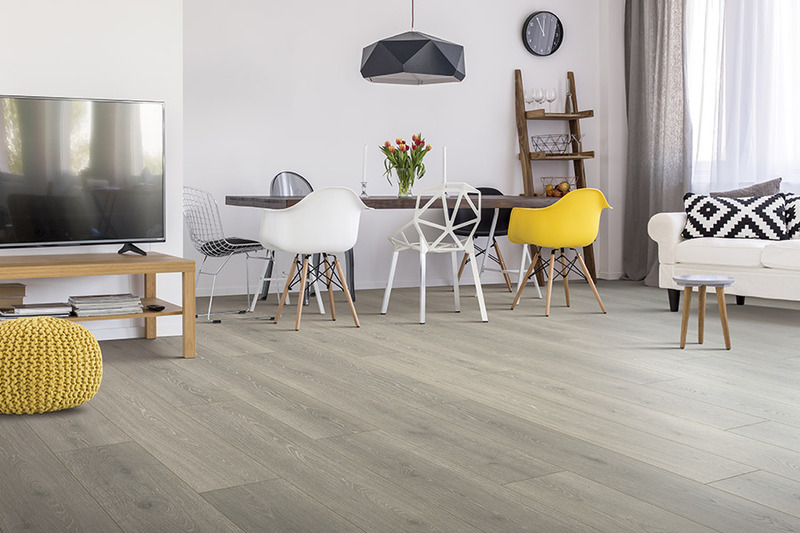 There are various thicknesses of laminate, so it’s important that you speak with your flooring professional about which will best suit your needs. Of course, the thicker the materials, the more protection you’ll receive. The backing layer provides a foundation for the core and design layer, which is covered by a protection wear layer. When combined, you have a floor covering that is resistant to stains, scratches, scuffs, UV rays and so much more. You’ll soon find out just how important these amazing floors can actually be.